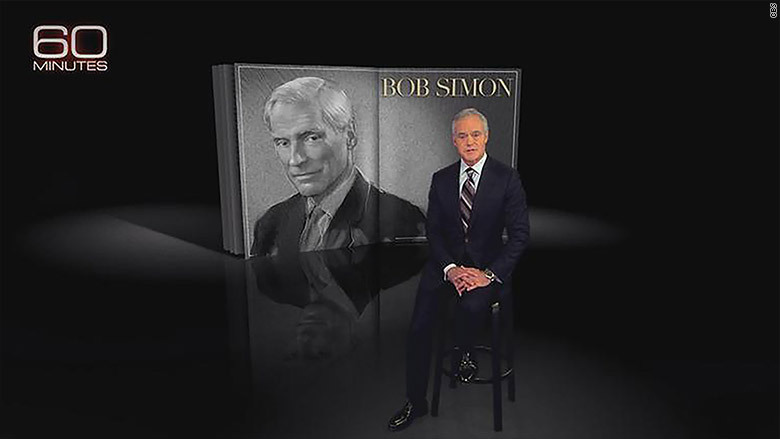 Scott Pelley introduced Bob Simon's last story on "60 Minutes" Sunday night. CBS is preparing a special edition of "60 Minutes" to pay tribute to Bob Simon, the longtime correspondent who died in a car accident last Wednesday. Preparations for the program are already underway. It will be shown next Sunday and will include some of Simon's most memorable stories as well as his colleagues' remembrances of him. It may exceed the usual 60-minute running time. It will include "some of his, and our, favorite Bob Simon stories," fellow correspondent Steve Kroft said on Sunday's broadcast. Simon's family will hold a private funeral on Tuesday. A public memorial service organized by CBS will take place at a later date. The correspondent's sudden death shocked colleagues on Wednesday night. Simon had just finished a story about the search for a cure for Ebola, and was leaving work when the car accident happened. "We thought the best way to pay tribute -- and what Bob would have wanted -- would be to put his story on the air in his own words, beginning right here," Scott Pelley said in an introduction to the segment. Kroft, at the end of Sunday's broadcast, acknowledged Simon's 19 years of contributions to "60 Minutes," totaling more than 200 stories. "We lost Bob," he said, adding, "All of us lost him -- his family, his colleagues here at '60 Minutes,' and all of you who have watched this broadcast over the years. We lost his curiosity, his unparalleled writing ability, his calm bravery under fire. And we lost his sense of justice and his sense of the absurd, both of which he brought to so much of his reporting." "Bob has been both a model and an inspiration to many of us during the 47 years he spent at CBS News," Kroft said.